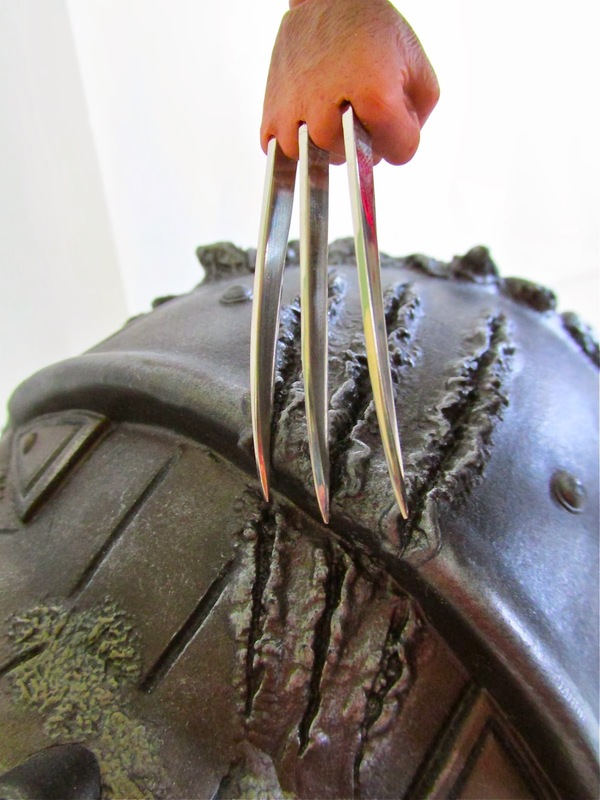 The Wolverine is here, and he is mighty impressive. 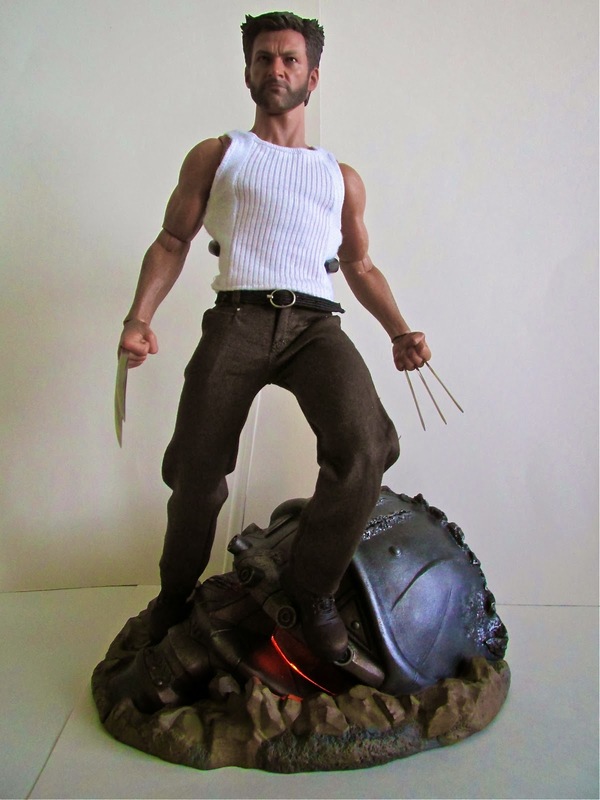 In a break from usual Hot Toys tradition, Wolverine got released earlier than its expected April 2014 release date. 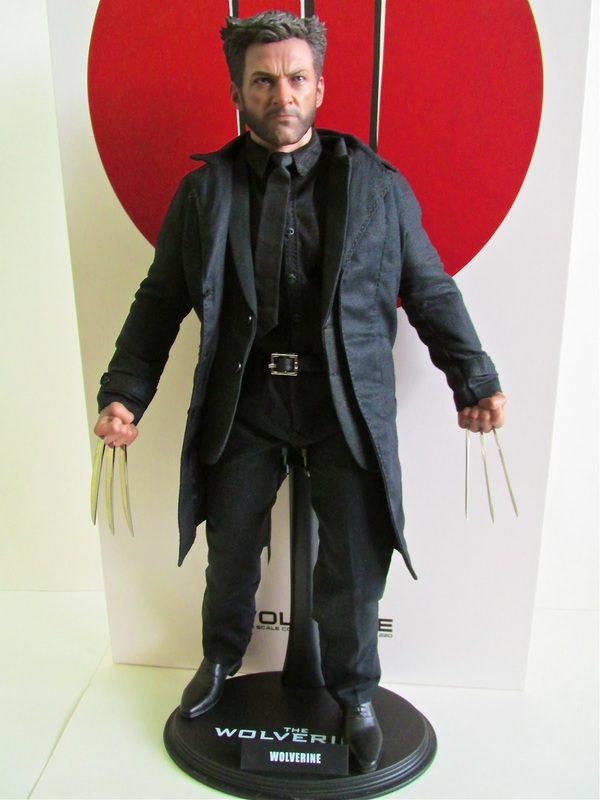 The figure itself is a great addition to the Hot Toys family and is a huge improvement over The Last Stand Wolverine release. There has been some talk about the slim body size and overly painted mustache, and I can see why many people have complained. The body does look oddly super slim without his shirt but for whatever reason looks fine when he has his suit or tank top on. Accuracy wise, this is probably a good body to go with since Hugh Jackman was more cut and defined unlike Thor who is super buff and has a much heavier build. The mustache was also a weird look. 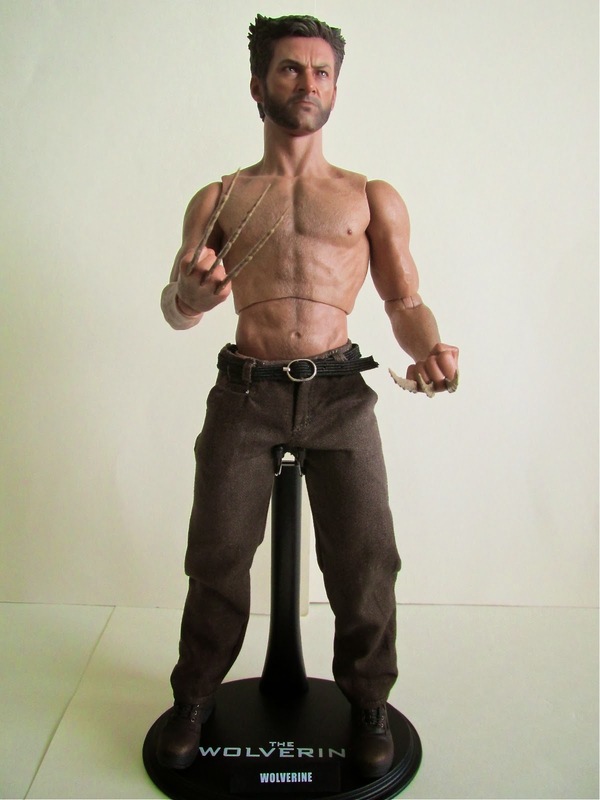 However, in the film Jackman does have a mustache, but it is more like a five o’clock shadow look rather than a full on mustache that is depicted with this figure…maybe it just didn’t look right without a mustache? 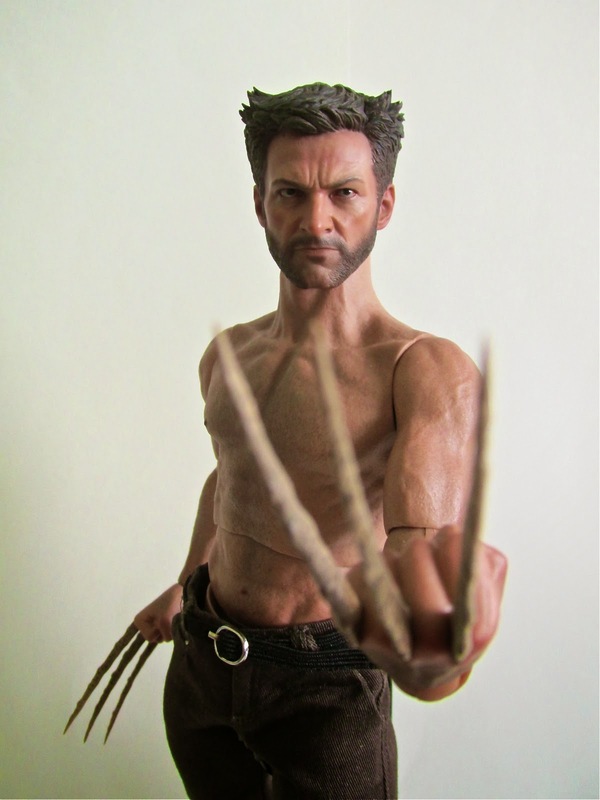 The face sculpting is a much better representation of Jackman as Wolverine and is a good expression that fits the tone of the movie. As usual the paint apps are great and once again bring out the detail in the hair and face. 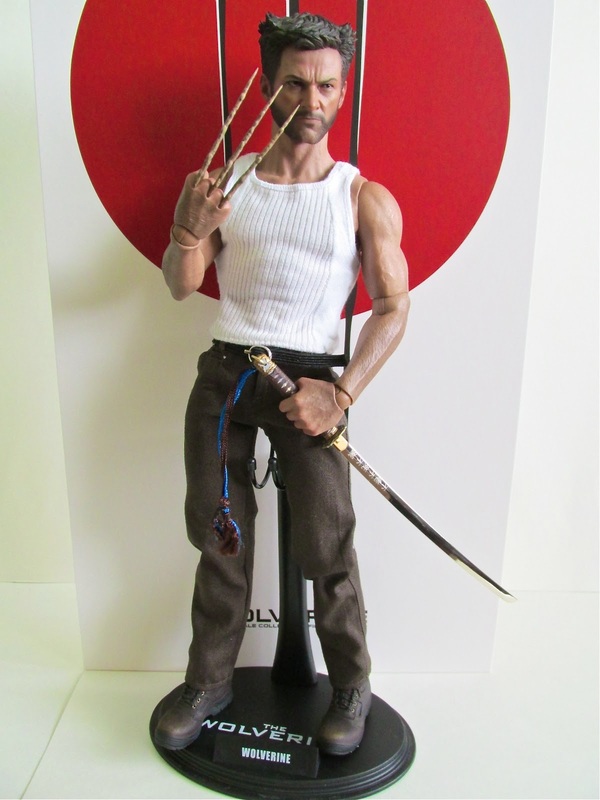 Accessories wise he comes with a pair of fists, a pair of fists to hold the katana, a pair of bone claws, a pair of adamantium claws, a pair of open hands, one katana, one sheath, and the usual cradle with the films logo. The katana is not made of metal, but it still looks great. The bone claws look especially awesome, and you can see the pores in the bones. Another big accessory is the option to change his clothes from his black suit to his tank top look. The black suit has some fine tailoring work done and nicely recreates this costume from the film. However, the suit does restrict some of his movement and many of his iconic poses can’t be done because of it. 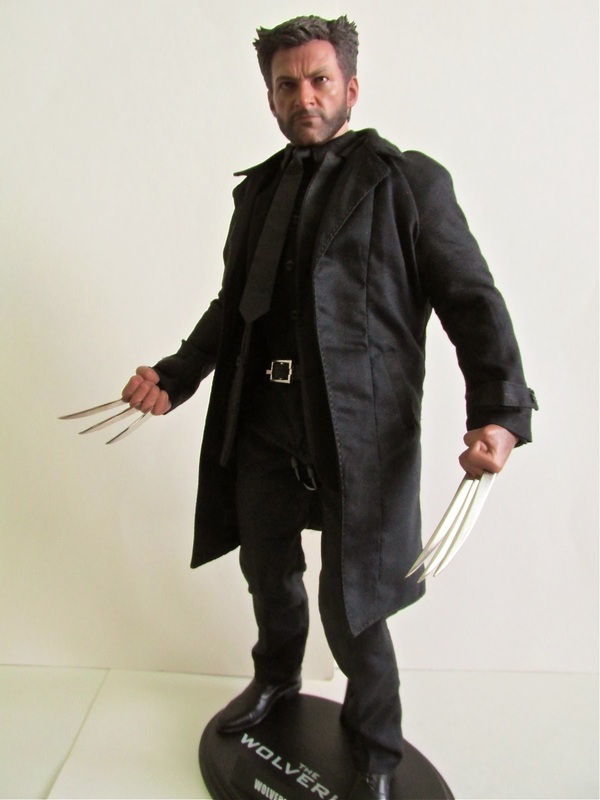 The tank top look is more a traditional look for Logan/Wolverine in the movies and this costume really feels like what one would expect of the character. Without his black suit on, his arms are much more free to move, and you can even recreate the pose seen on the movie poster, which is something you could not pull off with the black suit. With all this said, I do have some issues. Changing the costume can be a chore and takes some patience. I also notice that there are some gaps where his shoulders and arms meet. It can look kind of weird to see this gap there and unfortunately makes it look really cheap in certain poses. 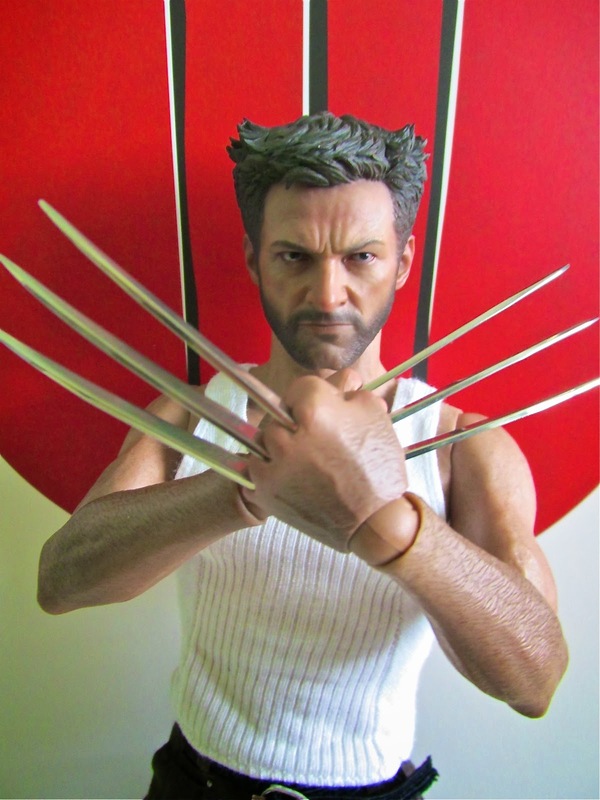 Overall, this is a great figure and like I said is a great improvement over The Last Stand Wolverine. It’s hard to say if this will sell out quickly because of the mixed reactions of this release and the fact that Days of Future Past is coming out, which may or may not lead to Hot Toys produced figures from this film. 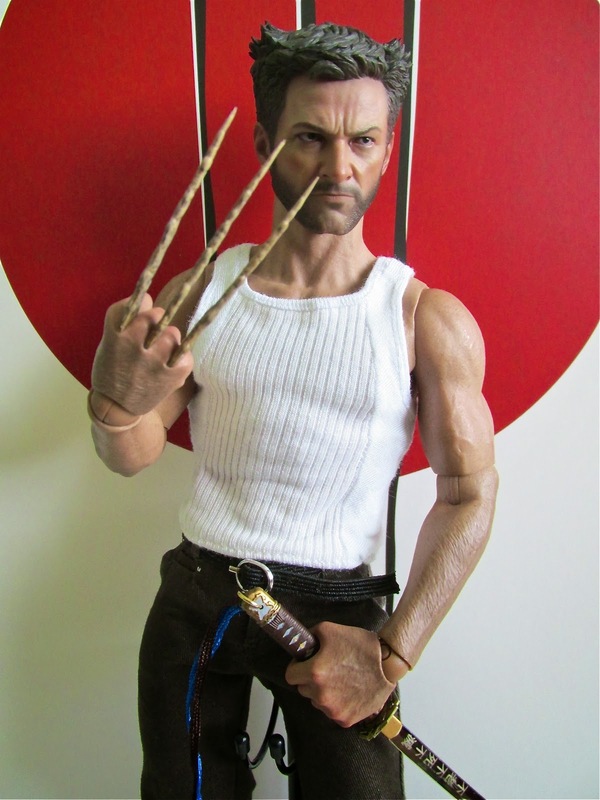 Since we did not see any X-Men First Class figures released and were only teased with the long forgotten Charles Xavier figure, it might be safe to just buy this figure if you need your Wolverine fix. 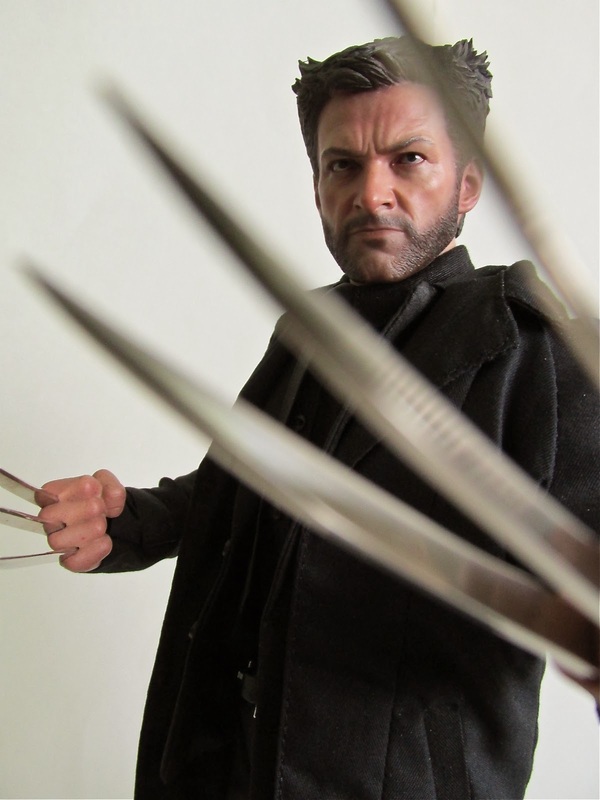 Otherwise, you can take a gamble and wait and see what Hot Toys will do for Days of Future Past.